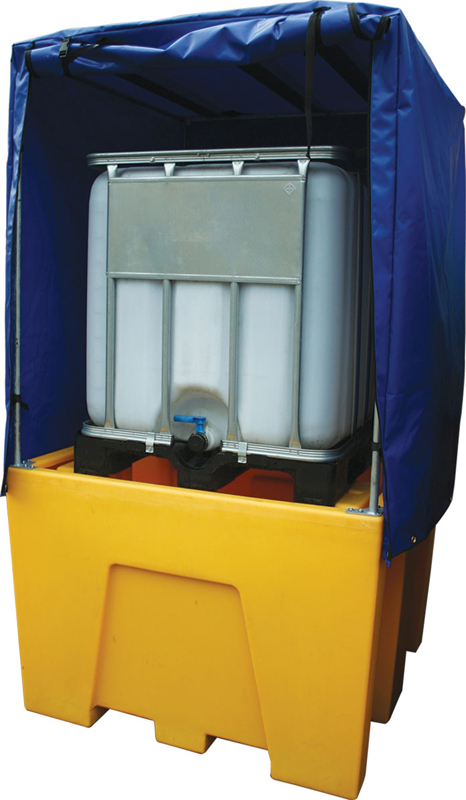 If IBCs are stored externally, this is a winning combination. 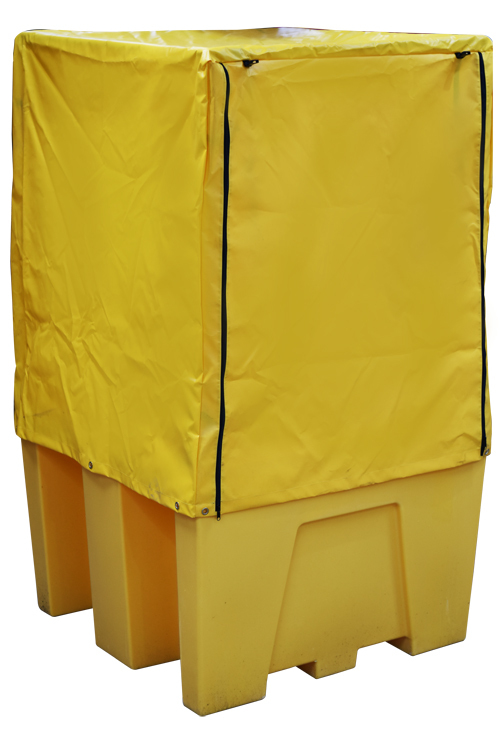 These heavy duty Ecosure bunds are designed for the long-term safe storage of IBCs and come complete with a high quality, weatherproof cover to protect the sump from rainwater ingress. 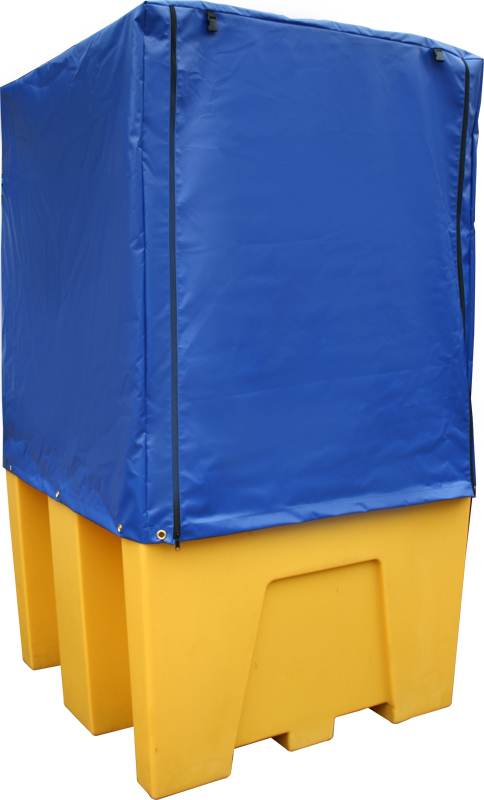 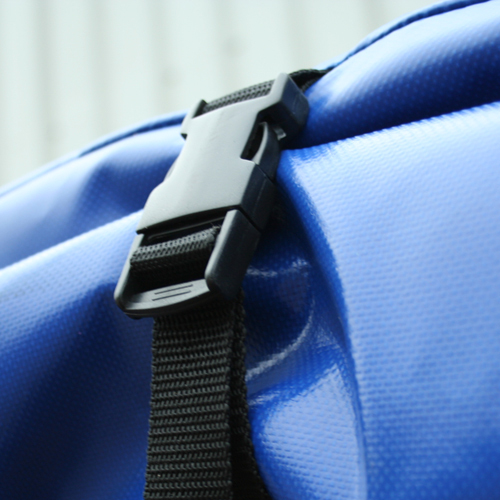 The IBC bund protects the workplace, the environment and personal from drips and leaks, whilst the thick cover stops the bund from filling up with rainwater, leaves or debris. 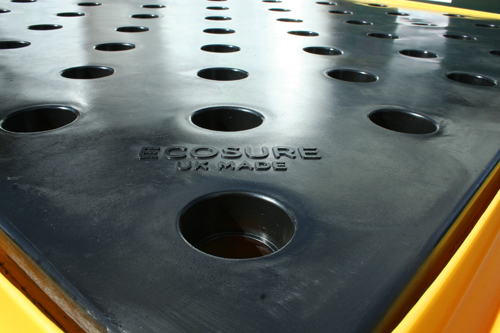 Each Ecosure IBC bund is completely manufactured from acid and alkali resistant polyethylene with the latest UV stabilisation package and has no steel parts in order to guarantee complete corrosion protection. 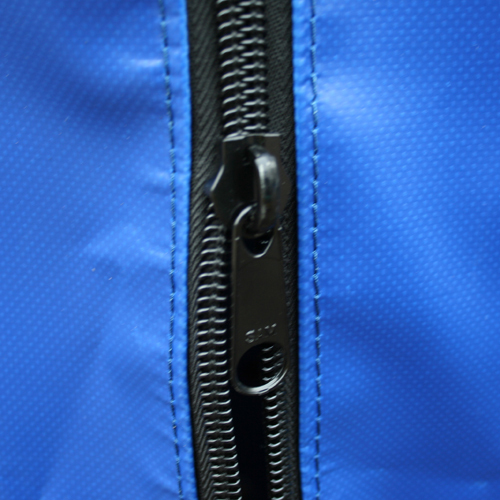 It is completely maintenance free. 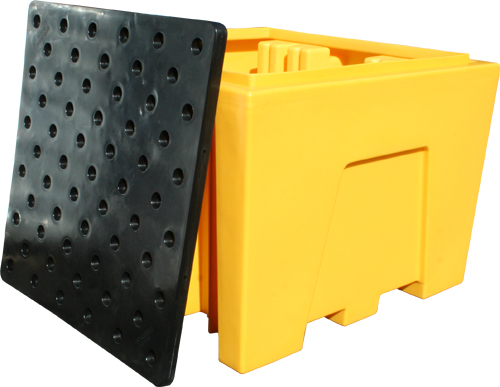 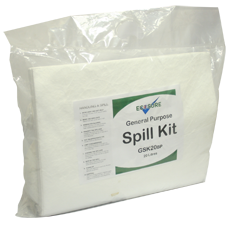 The Ecosure grid is made from the same high quality polyethylene as the sump and is fully removable for ease of cleaning and to allow the bund to be emptied if required. 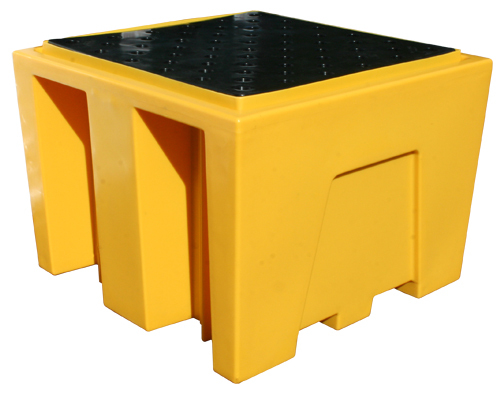 Lifting points for forklifts allow for easy manoeuvering or repositioning, whilst strengthening ribs give maximum support.